Jen and Sarah Hart and three of their adopted children died of broken necks after their SUV plunged off a Northern California cliff, a forensic pathologist testified during a coroner's inquest Wednesday to help authorities classify the deaths. Pete Suratos reports. Jen and Sarah Hart and three of their adopted children died of broken necks after their SUV plunged off a Northern California cliff, a forensic pathologist testified during a coroner's inquest Wednesday to help authorities classify the deaths. A jury in Willits will decide whether the March 2018 deaths of the two women and their six children were accidental or a murder-suicide. The crash happened just days after authorities in Washington state opened an investigation following allegations the children, ages 12 to 19, were being neglected. 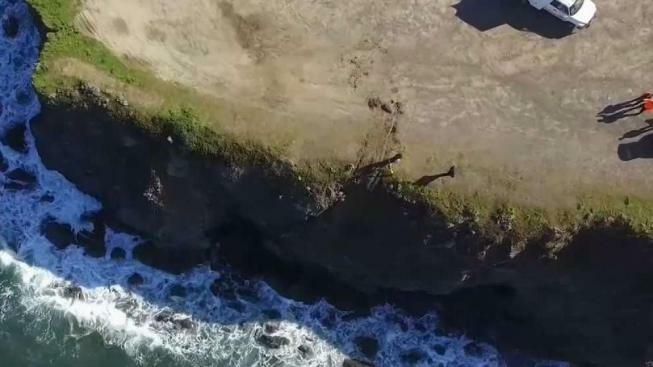 The bodies of the women were inside the SUV when it was discovered, but one of them fell out as the vehicle was being towed up the cliff off the coast of Mendocino County, Sheriff Deputy Robert Julian said during testimony livestreamed online. Nobody answered the door when a child-welfare worker went to the Washington state home of the big, free-spirited Hart family to investigate a neighbor's complaint that the youngsters were going hungry. Three days later, the Harts' crumpled SUV was found at the bottom of a 100-foot seaside cliff in Northern California, all eight family members presumed dead in a mysterious wreck now under investigation. Julian testified he was able to identify Sarah Hart through a Minnesota driver's license found near the car. "I wasn't able to identify Jennifer Hart due to her fall," Julian said. She was later identified by authorities. Forensic pathologist Greg Pizarro testified that Jennifer Hart was drunk when she drove her large family off the cliff, saying an autopsy found she had a blood alcohol level of 0.102. California drivers are considered drunk with a level of 0.08 or higher. She was also the only one wearing a seatbelt, he said. Sarah Hart and the children had large amounts of diphenhydramine in their systems, a drug that can cause drowsiness, authorities have said. The bodies of siblings Markis, Jeremiah and Abigail were found the same day near the car. Weeks later, the body of Ciera Hart was pulled from the Pacific Ocean. Pizarro said Ciera's body was too decomposed and he couldn't determine a cause of death. "You can only assume her manner of death was similar to all the other children," Pizarro said. Human remains found in a shoe were matched to Hannah Hart through DNA testing. The remains of 15-year-old Devonte Hart have not been found. A neighbor of the Harts in Woodland, Washington, had filed a complaint with the state, saying the children were apparently being deprived of food as punishment. No one answered when social workers checking on the report went to the family's home near Portland, Oregon, on March 23. 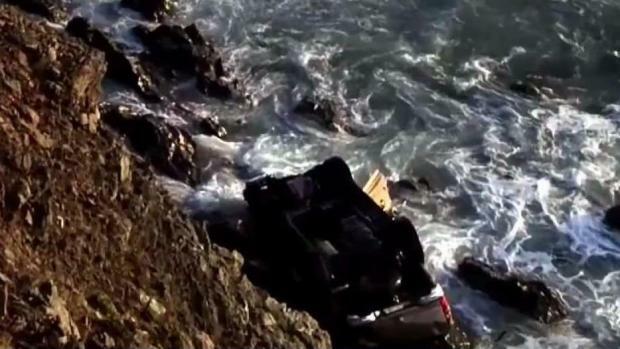 Three days later, their SUV was found partially submerged in the ocean, below a rugged cliff more than 160 miles north of San Francisco.